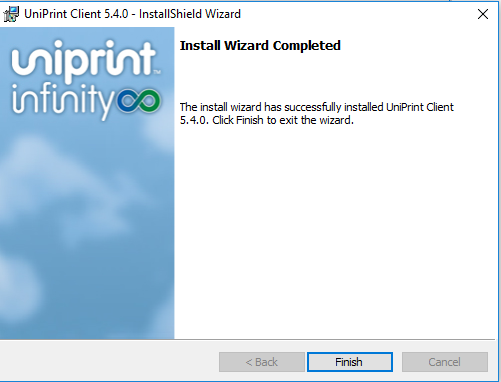 Instructions to download the UniPrint Client for Landonline - which creates an image file. We recommend you print these instructions before starting. 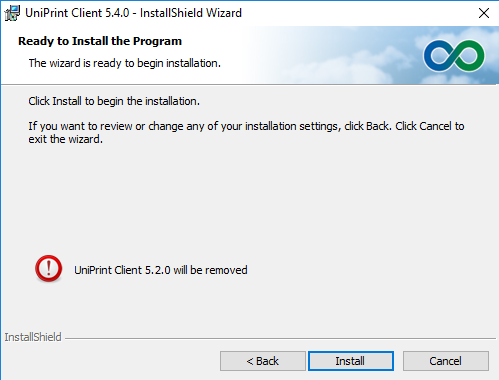 You must have installed the Citrix Receiver before installing the UniPrint Client. Note: Appearance of screenshots may differ due to display settings. To disable the User Account Control, navigate to Control Panel/User Accounts and uncheck the box. Please remember to enable this box again when the installation has finished. We recommend using the "Save to disk" option as it means that you will not need to download the installation file a second time if you need to reinstall this software on your computer or another computer in the organisation. Once the file has downloaded, double click on the .exe file. You must be logged in with Administrator rights to continue with this installation. 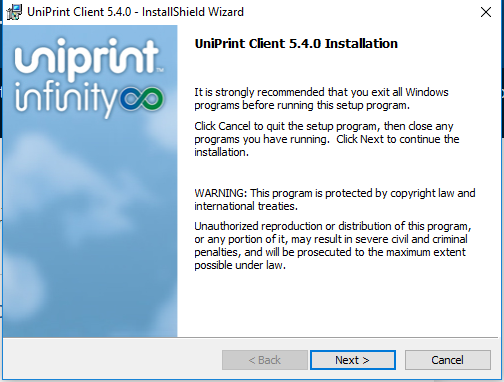 If you have an older version of UniPrint installed, you will be prompted to uninstall it. 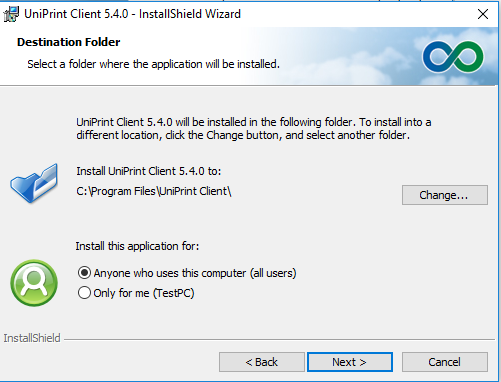 Note: If these options are unable to be changed, cancel the installation and contact your IT provider. Installation requires the User Account Control to be disabled. 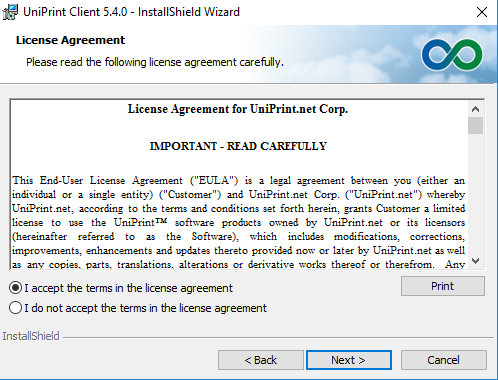 If you proceed UniPrint will not work.